50km northeast of Kolari, River Lainiojoki 30 m, sand/stone bottom, Ylläsjärvi 10 km, common swimming beach 8,5 km. 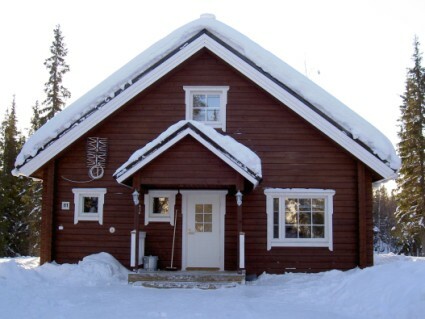 A log cabin built in 2008. 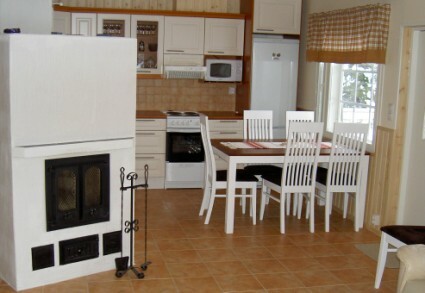 Kitchen-living room, one bedroom with two separate beds, upstairs (24 m²) bedroom with sliding door: 3 beds, loft with one bed, sauna (electric), bathroom, separate wc. Open porch. NOTICE: Booking for maximum 4 persons (including adults and children) even if there are more beds (you can choose which beds you use). 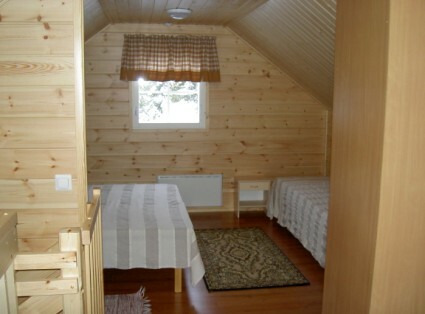 A cozy cabin in the Lainio area (Karangisseläntie 61). Before Karangiskoski is Rami's huskysafari, where his dogs are "working" during the day. 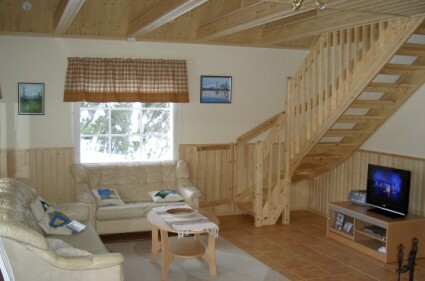 No pets allowed in the cottage (however, cottage is not suitable for persons allergic to pets). Camp fire place by the river. Final cleaning is included in the price, bed linen can be rented. Rating given by customers 4.0. Based on 37 reviews. Erittäin mukava mökki. Absoluuttinen rauha takasi täydellisen loman. Meillä ei ollut ongelmia. Loipe in unmittelbarer Nähe.